Whole grains: Include whole grains like brown rice, barley, oats, buckwheat, and whole wheat in your diet to manage weight. 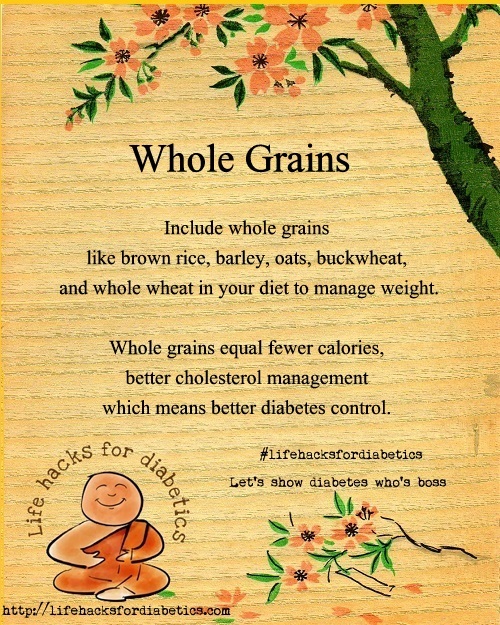 Whole grains equal fewer calories, better cholesterol management which means better diabetes control. Why whole grains in our diet?